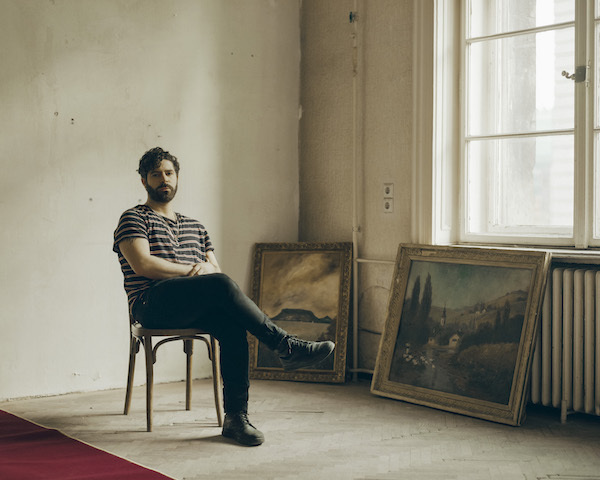 latest interview: Interview: Foals' Yannis Philippakis on new album 'Everything Not Saved Will Be Lost - Part 1'. Music Watch: Foals drop video for 'Cafe D'Athens'. Music Foals shares videos for ‘White Onion’ and ‘Moonlight’. Music Watch: Foals live at Kew Gardens. Music Listen: Foals' new song 'Sunday'. Music Foals - 'On The Luna' music video. Music Foals release new single ‘Exits’ + announce two new albums! Music Watch: Lights covering Foals' 'Mountain At My Gates'. Music Foals - 'Rain' music video. Music Foals - 'Birch Tree' music video. Music Watch: Foals performing 'Mountains At My Gates' live for Stephen Colbert. Music Watch: Foals cover Florence + The Machine’s 'What Kind Of Man'. Music Foals - ‘Give It All’ music video. Music Watch: Foals perform 'What Went Down' and 'Mountain At My Gates' live for Jools Holland. Music Watch Foals perform ‘Mountain At My Gates’ live at Reading Festival 2015. Music Interview: Foals’ Yannis Philippakis on their new album, ‘What Went Down’. Music Watch: Foals' [making of 'What Went Down'] 'Crème Anglaise’ video. Music Watch: Foals' sampler for new album, 'What Went Down'. Music Review: Foals' new album, 'What Went Down'. Music Watch: Foals covering Mark Ronson’s 'Daffodils'. Music Listen: Foals' new song, 'A Knife In The Ocean'. Music Watch: Foals performing 'What Went Down' live at Maida Vale. Music Foals - 'Mountain At My Gates' music video.